9-piece set of new decals for drop targets on Williams Pokerino pinball. Easy to install- just peel and stick. Replacements for part #s 30A-7539-1, 30A-7539-2, 30A-7539-3. 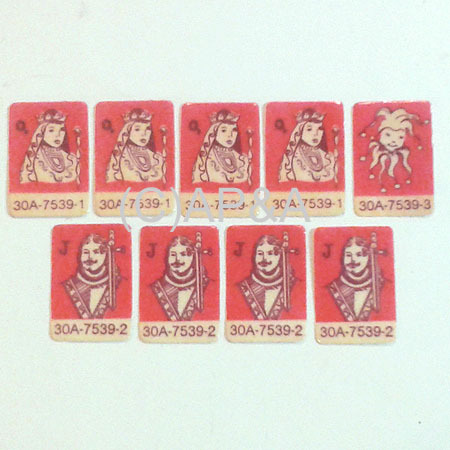 Includes 4 jacks, 4 queens, 1 joker.